Mount Kenya is the second tallest mountain in Africa and it stands tall, with its snow-capped peak right in the middle of Kenya-Africa. The Mountain ascends to a height of 5199meters at the highest peak. The mountain is regarded as sacred by some of the Kenyan tribes. They believed that God “Ngai” dwelled in the mountains which they called kirinyaga or a place of light. The country’s’ name was derived from the mountain. Mount Kenya is downed with such breathtaking beauty. Its mighty snow-capped summit that stands high above the surrounding equatorial plains to a series of rugged ridges. Vegetation covered slopes provide icy water streams that flow to the savannah grasslands. As a result, the mountain has a view that is distinct in this part of the world. 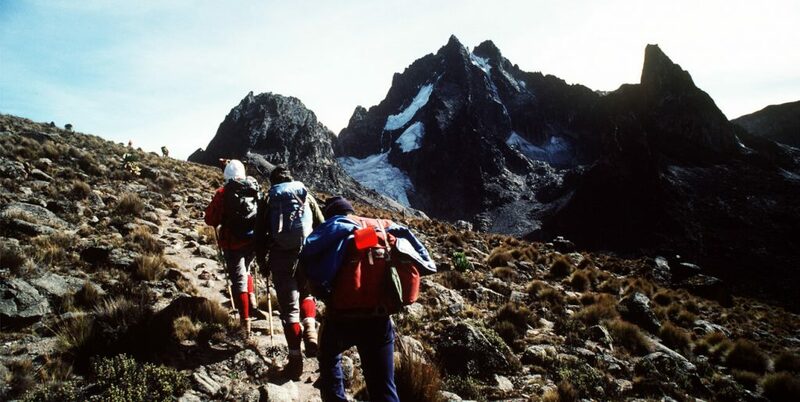 Mt Kenya is a popular destination to tourists both domestic and foreign. It’s a favorite for anyone yearning to conquer the mighty mountain by trekking to the peak. The mountain is also visited by nature photographers waiting to capture the beautiful silhouettes of the mountain. In the morning the sun shines on the horizon behind the blue mountain. The Mountain is also popular with mountain climbers and trekkers. For those who wish to conquer the mountain, there are several trekking routes in the mountain. There are two main peaks on the Mountain the highest being Batian (5199) which is also the toughest climb of the mountain. The peak is rocky and covered with snow and ice which makes it hazardous. As such the climb should be attempted by experienced climbers only. This is because specialized climbing equipment is required. 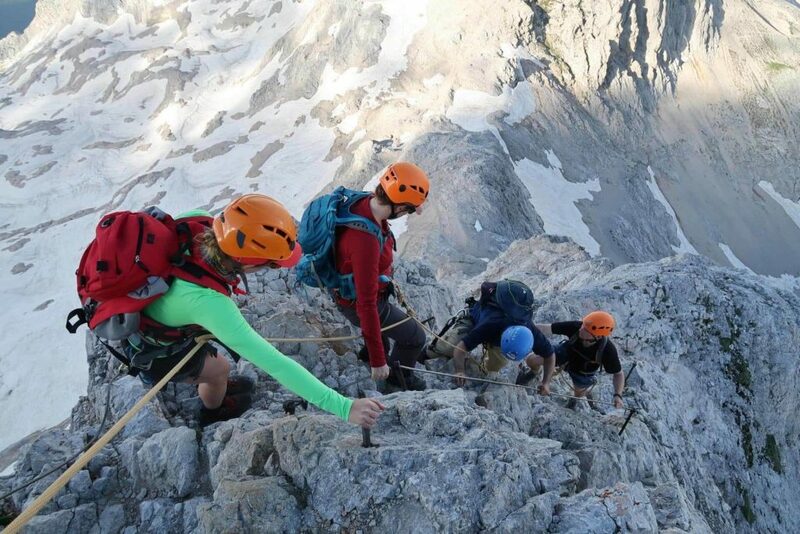 Even so, guides and potters are highly recommended even if you are an experienced climber. The other peak is at point Lenana (4985m). This peak is the most popular with climbers because it is easier to climb and can be attempted by most people. However, it also requires a good deal of physical fitness. Climbers should be well prepared with warm clothing, shoes, and camping gear. Trekkers are advised to have at least three days to ascend the mountain gradually. This allows for acclimatization on the way up, so as to avoid altitude sickness. For those who would rather enjoy the view of the mountain rather than embark on the daunting journey of climbing the mountain, at the base of Mount Kenya there is a host of several state of the art five-star hotels with some of the best views of the mountain. The mountain is also home the famous Mt Kenya national park.